"Dr. Fischer" is one of the oldest, well known, and respected Israel’s companies, specializing in the fields of microbiology, cosmetics, biochemistry and pharmacology. Since its foundation in 1967, the company has proceeded very far on the way of its successful development. Nowadays, the personnel of "Dr. Fischer Ltd.", numbering more than 700 scientists and specialists in various fields, produces more than 1,000 items, which have become an integral part of Israel’s commercial landscape and have been successfully introduced to the markets of more than 30 countries. The company's success stems from its desire to provide the consumers with products that would combine the best of the two worlds – those of Science and Nature). The concept of "As Close to Nature as Science Can Get", put forward by the company on the very first day of its foundation, has become one of the leading trends in the production of goods for beauty and health worldwide. The keystone to the highest quality of the products for skin care produced by "Dr. Fischer" is many years of research and unique know-how in the field of anti-aging processes, as well as vast experience and new solutions in various fields of medicine, in particular, in dermatology and cellular microbiology. 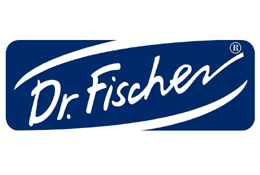 Quality is the essential feature of Dr. Fischer’s products and of the company itself, whose slogan is "Dr. Fischer - Tried and Tested". "Fischer Pharmaceuticals Ltd." keeps strengthening its technological leadership and extending the knowledge and experience of the four previous decades in order to provide all customers, from the youngest to senior, with high-quality products. The green production technologies and the pure products of the company meet the highest international quality standards. The products are not tested on animals. The wide range of products manufactured by "Dr. Fischer" includes a line for facial and body skin treatment ("Medical Skin and Eye Preparations"), anti-aging creams for face and round-the-eyes area, ("Anti-Aging Skin Treatment"), hypo-allergenic products for children ("Baby Care"), preparations protecting the skin from sun irradiation ("Sun Care"), products for SPA, and many others. Among this variety, you can find the highest quality products, perfectly suiting you and your family, which you can trust because "Dr. Fischer - Tried and Tested!"